Parents in almost every country in the world have used scary tales about entities or monsters to scare their children into behaving. These bogeymen go by many names, some countries use several names depending upon the region or culture. These entities are most often male but some are female or androgynous. 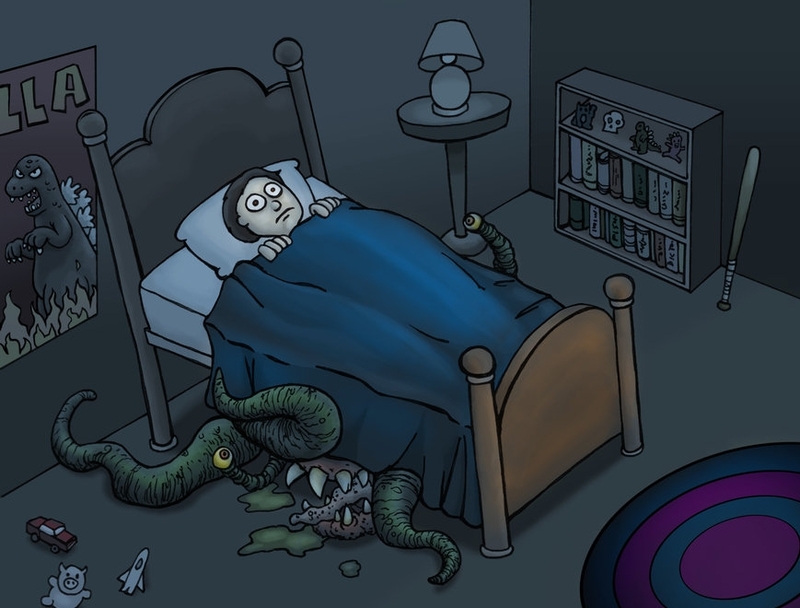 They are often said to hide in the dark--in a child’s closet or under their bed. Another common theme is they carry a sack on their back where they place the child after they have kidnapped them. Parents tell these stories to their children to make them go to sleep, eat their food, avoid dangerous areas e.g. woods, water etc. Regardless, the universal goal is to make their children behave. 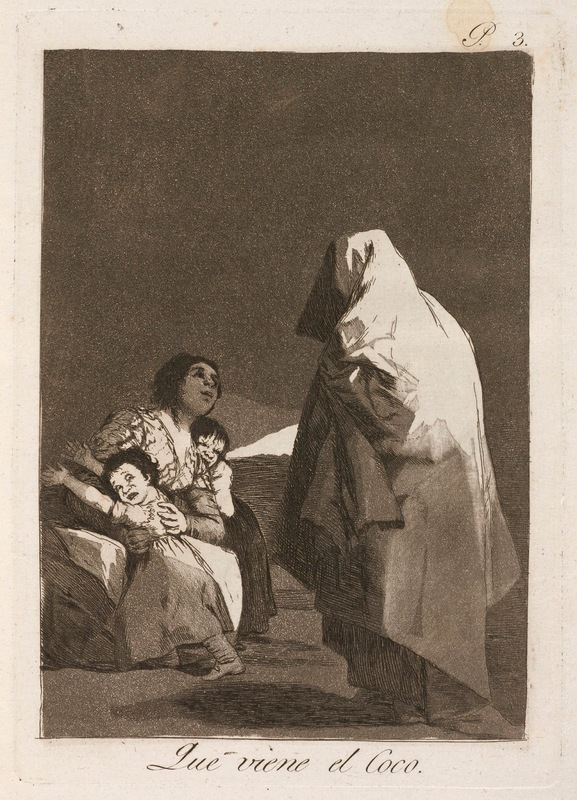 Some cultures no longer use these stories but others still use this scare tactic--I write about how La Llorona is still used today to frighten children here. As mentioned these stories are numerous so it would take an entire book to share them all. Instead, here are just a few. 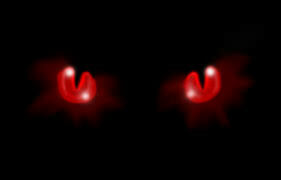 The Fear Dubh or black man is a Scottish tale about a malevolent entity that haunts footpaths and forests at night. Stories about this entity were used to scare children to stay away from exploring the woods alone. during the Christmas season. It is stated he hits bad children with birch sticks. 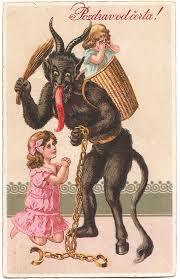 The Krampus carries a sack where he places his victims. He is especially scary for he kills and then eats his victims. In the Bahamas, the small man is an entity who rides on a cart that pulls itself. He picks up children that are outside after sundown. Any child taken by him is doomed to ride in this cart forever. Parents only have to say, “rolling cart” to scare their children into behaving. L’uomo Nero doesn’t harm children but it is stated he takes them to a “frightening place.” Parents sing a lullaby that states L’uomo Nero keeps children with him for a whole month. The Tata Duende in Belize is a small wrinkled goblin that wears a wide brimmed hat. He has a beard, no thumbs and backward feet. Parents state he is the protector of the forests and animals. 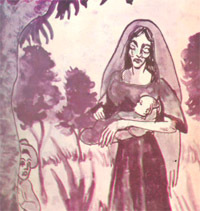 They warn their children if they play in the jungle at night--they will encounter the scary Tata Duende. 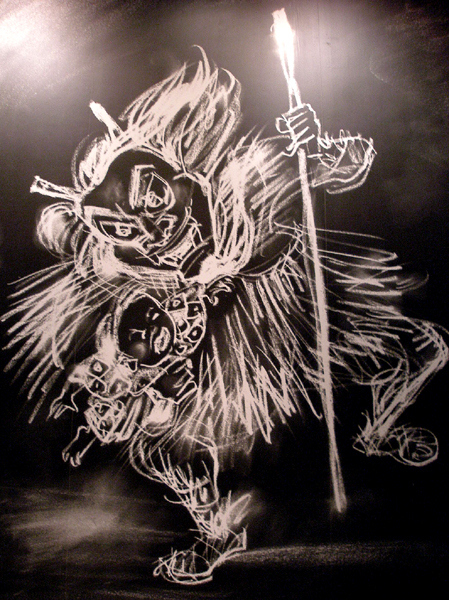 In Japan, The Namahage are demons that warn children not to be lazy or cry. During the Namahage Sedo Matsuri or “Demon Mask Festival” the villigers wear demon masks pretending to be these spirits. In the United States besides the classic bogeyman there are stories about Bloody Bones, originated in Britain, and Tommy Rawhead both told in the South. These two tales are used to warn children not to play outside after dark. The bogeyman in Denmark is known as Bøhman or busseman. This man hides under a child’s bed and grabs children when they won’t sleep. In Greece, parents tell a similar tale to the one in Denmark. The Baboulas is said to hide under children’s beds. Greek parents also tell other stories about this creature in order to make their children behave. In Spain, El Coco, El Cuco, or El Bolo is a shapeless figure or a hairy monster that eats children who will not go to bed. Parents sing a nursery rhyme to their children that warns El Coco will eat them if they refuse to sleep. Sleep child, sleep now. . . The story of El Coco has also traveled to other Spanish-speaking countries in Latin America. In the Congo, Dongola Miso or “Creature with Scary Eyes” is used to discourage children from staying up past their bedtimes as well. This creature is also used to warn them not to speak to or deal with strangers. In Russia, children are warned that Babayka or Baba Yaga will come for them at night if they do not behave. Here is a Russia lullaby that reflects this. 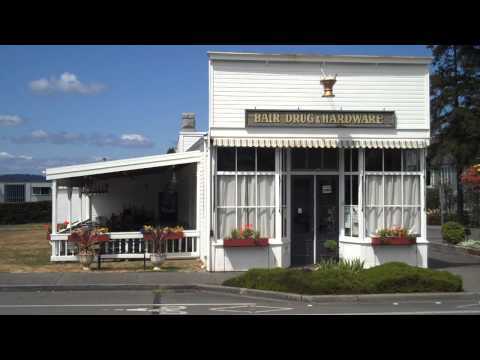 In 1895 W. L. Bair opened his modern pharmacy in the coastal town of Steilacoom Washington that sits on Puget Sound. Bair known as “Cub” to his friends was a meticulous man. His store reflected his attention to detail. His customers could buy medicine and hardware. 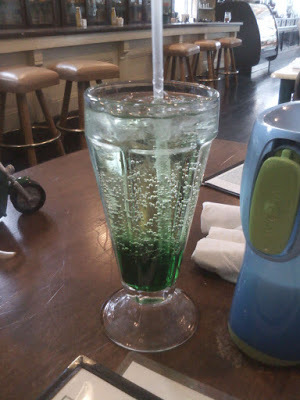 Many customers ordered a refreshing treat at his soda fountain. Cub made sure that his store’s potbelly stove was always stoked. This warm environment always welcomed his cliental including a group of faithful retirees who played checkers in his store. When Cub died many felt he had trouble giving up his beloved pharmacy for his spirit has haunted this building ever since. People state his ghost still puts in a full day’s work. When his old store was converted to a café it is said Cub even tried to change with the times. But now his attempt at perfection suffered. The café’s new equipment often stumped Cub. Employees would find bagels mysteriously burned and the café’s new electrical equipment in the soda fountain was sometimes found broken. This was just the beginning. Various witnesses reported other strange happenings. One employee saw a group of sauce bottles fly off a shelf. These bottles did not drop to the floor immediately but instead flew across the room. Café patrons report seeing coffee pots spin and doors swing open. Almost everyone who enters the café state the lights above sway back and forth. When a museum was added to the café many felt this mellowed Cub’s ghost. They felt the familiar antiques, such as medicine bottles, old hardware and a line of postal box slots attached to the rear wall made Cub feel more at home. The activity settled down to the point that people began to believe Cub’s ghost had finally moved on. But this does not appear to be the case. As recent as 2005, people standing near the postal boxes have felt someone standing close behind them--only to discover no one there. Others have heard distinctive humming. Several visitors state they felt someone breathing down their necks and then the sound of someone wheezing. Cub’s presence has also been felt in the bank next door. This old building is located at the intersection of Lafayette and Wilkes. This charming Bed and Breakfast offers 17 unique rooms for guests that come to stay in the small Sierra Nevada Mountain town of Groveland California near the entrance to Yosemite Park. Initially built in 1849 this structure was an adobe trading post. 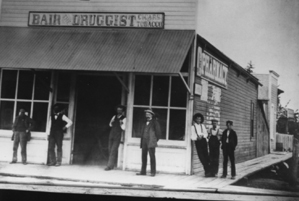 It then was used as a gambling house, saloon, hotel, Ranger Station, business offices and even a Greyhound Bus Stop. Picture taken in early 1900. Peggy and Grover Mosley bought this old run-down building in the 1990s. They spent two years and a million dollars to renovate this structure. One room in this hotel is always in high demand. Number 15 is where Lyle resides. He is the inn’s ghost. Peggy and her employees enjoy sharing stories about Lyle. 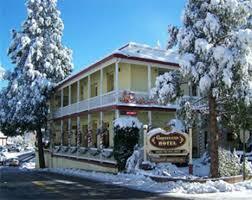 During California’s Gold Rush this building was considered the most elegant house on the hill. So when Lyle, a reclusive miner, struck it rich he took up residence in Room 15. His new living arrangement was also convenient for he worked the Spring Gulch Mine nearby. 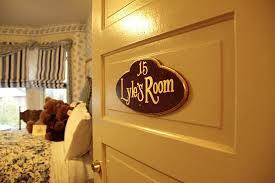 Lyle stayed in Room 15 for years. He was found dead in this room in 1927, underneath him, was a box of dynamite one of the tools of his trade. Lyle haunts Room 15 and the area that surrounds it. He was known to be obsessively neat and tidy while alive and it appears his ghost is the same. Female guests that stay in this room find if they place their cosmetics on Lyle’s dresser he does not like this clutter for when they return their makeup is no longer on the table. They often discover their items placed on the sink instead. One female guest even watched as her makeup flew off the back of the dresser and landed on the floor. Lyle’s ghost also likes to mess with the water. Taps are often turned on when no one is around--Peggy and Grover experienced this when they were the only two in the hotel. Lyle also turns on the water in shower stalls in rooms near Room 15 when no one is around. Another prank he enjoys is messing with the room door locks near Room 15. Guests return to find their room keys temporarily do not work. There is also a romantic tale told about Lyle. 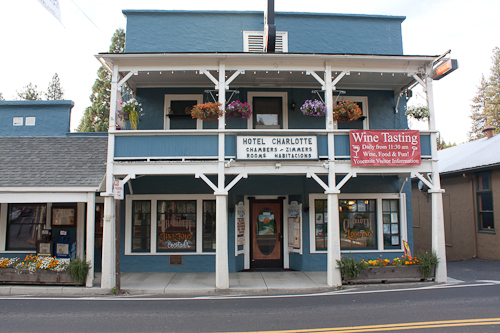 Peggy states that if his ghost has not been active for a while, it means he is visiting The Hotel Charlotte across the street from the Groveland. While alive, Lyle had a love affair with the original owner of this hotel--Charlotte. 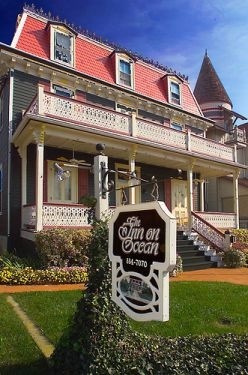 Cape May is a peninsula town located on the southernmost tip of New Jersey. 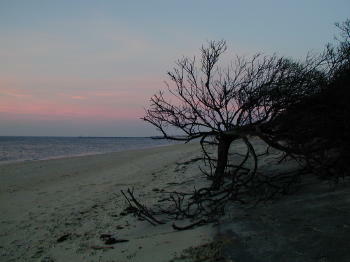 In Part l I share sightings of ghosts seen near Higbee Beach. The two stories below are part legend and part true hauntings. A legend connected to the Captain’s Quarters an inn in Cape May, now renamed The Inn on Ocean is that it has a buried treasure on its property. 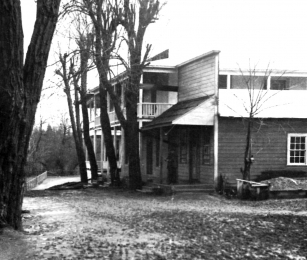 An unseen force protects this inn. One witness to this phenomenon is a man whose family owned the inn for ten years. He states this treasure, 40,000 British pounds, is buried beneath where the inn stands today. A sea captain who looted many British vessels was able to amass a small fortune. Returning home to Cape May he gave his fortune to his mistress and told her to protect it. He then returned to sea. Tragically, his ship was lost in a storm and when the captain did not return his mistress heart-broken committed suicide by hanging. She took the secret of the location of the buried treasure with her. It is believed her ghost, named Charlene, wanders the inn today still protecting this treasure. The owners of the inn state her ghost likes to make noise. Her footsteps are heard and she whispers a lot. Charlene also likes to bang cabinets doors. The inn’s attic is where she often plays pranks. She likes to lock people in this room. When locksmiths are called out and arrive she then unlocks the door. People are warned to leave the room immediately for Charlene locks the door again. 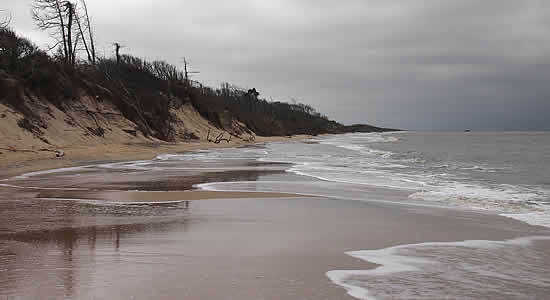 In Part l of this post witnesses state they have seen a ghostly man walking a large black dog along this beach which is on Cape May’s bay side. Over the years these witness sightings have been exaggerated. A legend about Higbee is about a Hound of Hell, which haunts it. This dog is described as very large and black. When this hound is seen he is sometimes accompanied by a dark figure dressed in a black cloak. It is said both this figure and the dog have fiery glowing red eyes. Witnesses’ state when they spotted these two figures they also smelled the distinct odor of sulfur--an odor often connected to evil. This phantom dog is said to carry a curse--so people are warned this hound brings bad luck and death. When this legend began no one knows but this type of hound is often associated with guarding a burial ground. In this case, maybe a Native American burial ground. This legend also states this hound protects the souls of sailors lost at sea and even pirate’s buried treasure. 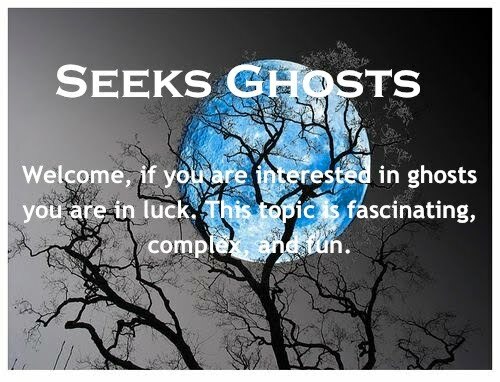 In Part l of Cape May's Ghosts and Legends I share one man's encounter with several ghosts. Inez Clarke: A Real Haunting or Myth? The Hope Ghost Photographs: Real or Fake?